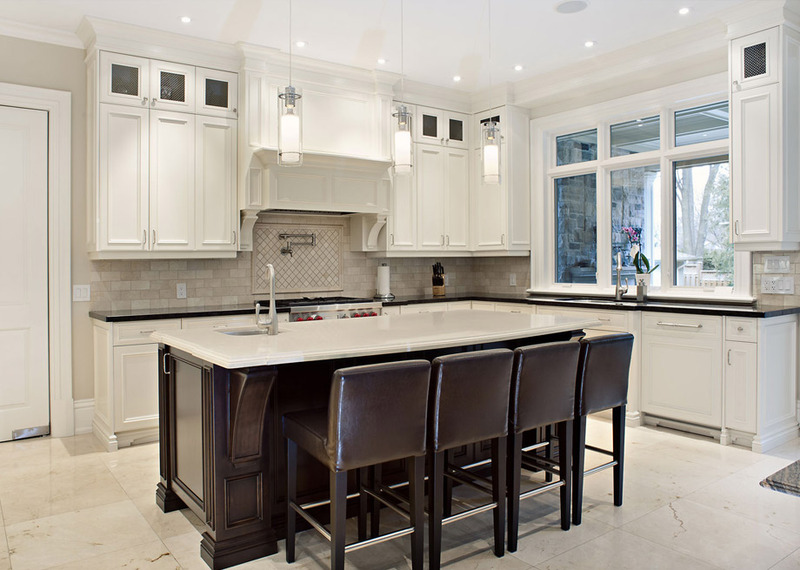 Custom cabinets with professional designers across Greater Toronto Area. At Flexwood, our commitment to you means only the highest-quality products go into our custom interiors. Our master craftsmen take great care and pride in their work. We are a Mississauga, Ontario, Canada, based, family-run company specializing in custom kitchen cabinets, kitchen and bath remodeling, living rooms, bathroom vanities, home office cabinets, and other interior spaces. We believe in in honesty and integrity. Our philosophy: To create quality home interiors custom-built to your lifestyle, using only the newest and best materials. Our superior construction and signature products guarantee a lifetime of enjoyment. We take great care to ensure that each product we make is something we’d use in our own home. 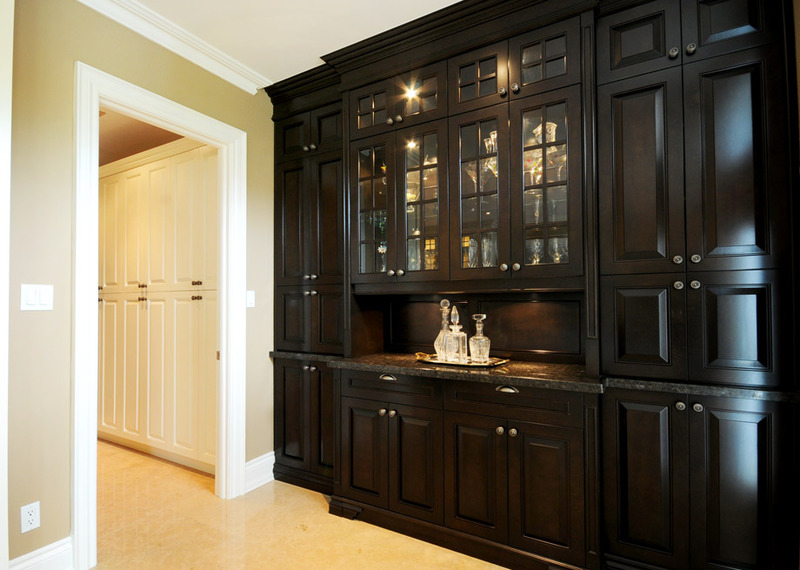 Our designers can create elegant custom kitchen cabinets for your home, cottage, or condo. All of our custom-built kitchen cabinets are hand-crafted and is made-to-order. We create products according to your specifications. We believe the process is just as important as the product we provide. 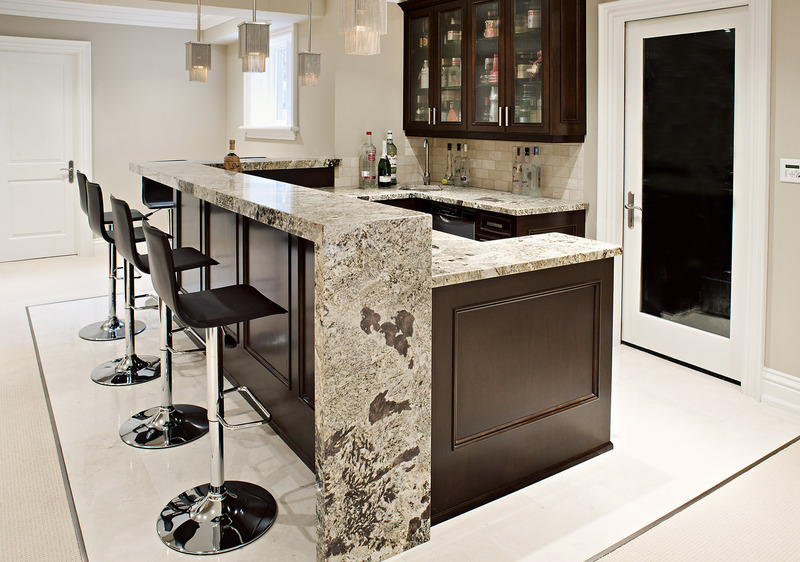 An elegant custom bar adds sophistication and style to any home. A private bar is perfect for entertaining and displaying your collection of fine wines and spirits. With many wood styles, details, and finishes to choose from, your dream bar can become a reality in the comfort of your own home. Many homes now have custom, theatre-style entertainment rooms. 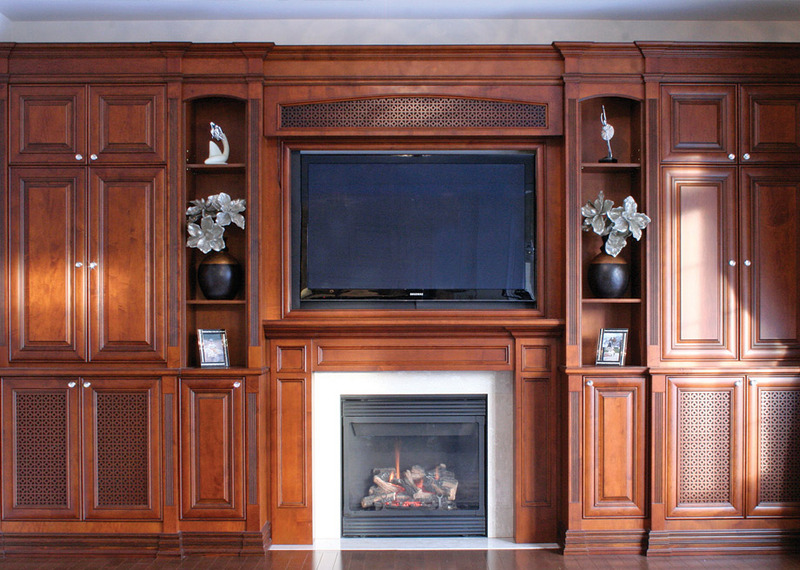 A custom entertainment or media center can perfectly showcase your space and provide hours of enjoyment. Our custom entertainment and media centers range from complete showcasing models to smaller storage units for videos and music. We can also create custom computer desks and work stations for your home or office. Custom wall units are a great way to showcase important items, books, and works of art. Great for storage, a custom wall unit can compliment any room in your home. Our craftsmen can make a piece to suit all of your needs, whether to showcase special family keepsakes or to frame an important piece of art. The fireplace is the centerpiece of every home. Create an elegant entertaining space for friends and family with a custom mantel. With many styles to choose from, each mantel we create is unique to you and your home. 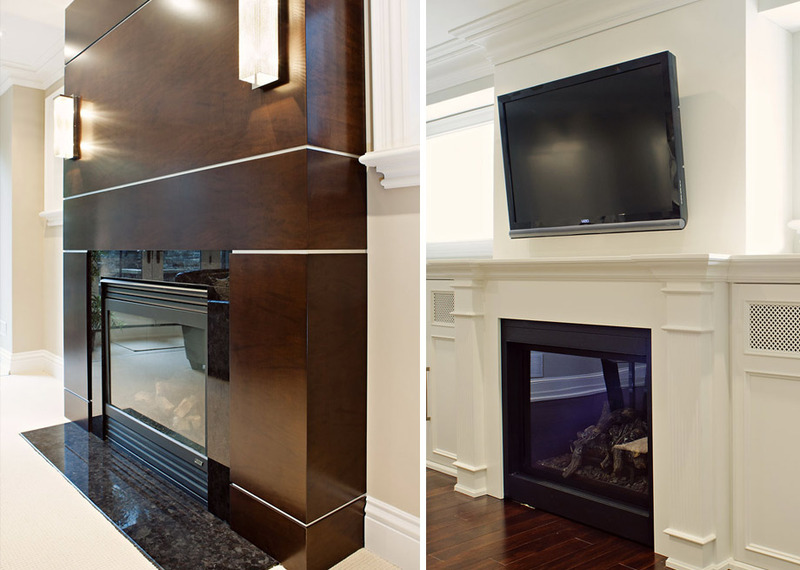 You can customize your dream mantel with different finishes and details to match your decor. All of our mantels are custom-made according to your specifications.